Mobile identity company Juvo has received an investment from Samsung NEXT, an off-shoot of Samsung that launched in 2013 to create new software and foster a start-up culture at Samsung. The amount of the investment was undisclosed and adds to the San Francisco-based company’s $54 million in equity funding, reports Julie Muhn at Finovate (FinTech Futures’ sister company). The bigger story here is that the investment is a strategic one. Samsung will bring Juvo access to billions of underbanked prepaid users across the globe. This will help Juvo enable mobile network operators (MNOs) to increase smartphone adoption among prepaid mobile subscribers. Juvo was founded in 2014 with a mission to “establish financial identities for the billions of people worldwide who are creditworthy, yet financially excluded”. The company’s tag-line sums this up as “access for all”. Patrick Chang, principal at Samsung NEXT Ventures, says Juvo’s “impressive traction from mobile operators and consumers offers an opportunity for us to tap into the next billion customers through more comprehensive financial inclusion and accessibility”. 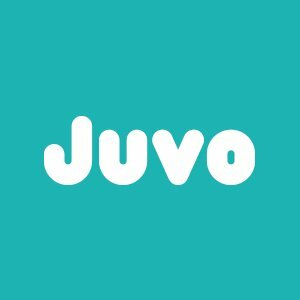 Since launch, Juvo has attained a reach of more than 500 million subscribers across four continents and is deployed in 25 countries. Last fall/autumn, Juvo partnered with Malaysian mobile virtual network operator, Tune Talk.